The best noodle nights are impromptu noodle nights. 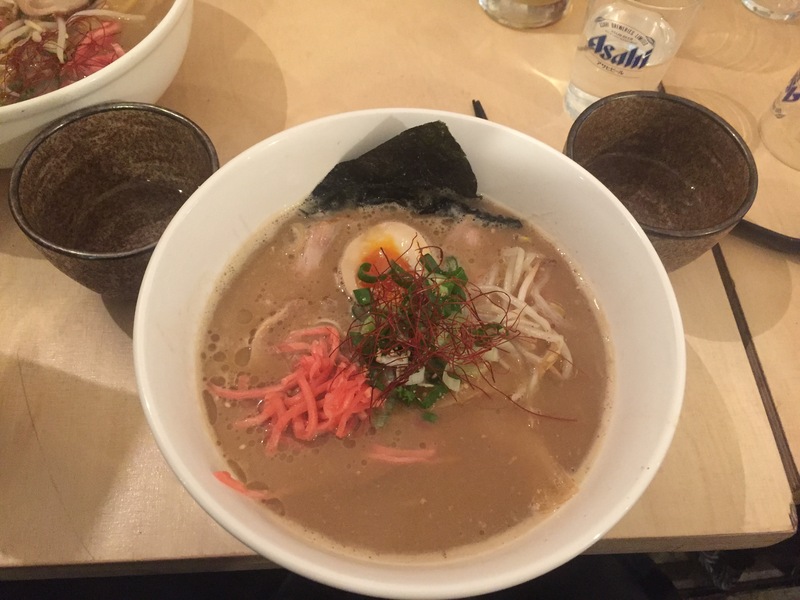 That was the situation with last Friday’s ramen at Okan in Brixton. 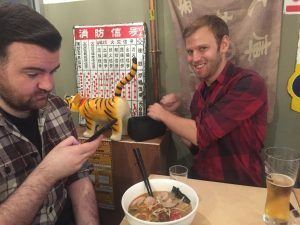 I should have been in Edinburgh, but plans changed at late notice and so we quickly formulated Plan B: meet a friend and continue Ramen Resolution. What can I say, contingency planning (and eating) comes naturally to me! 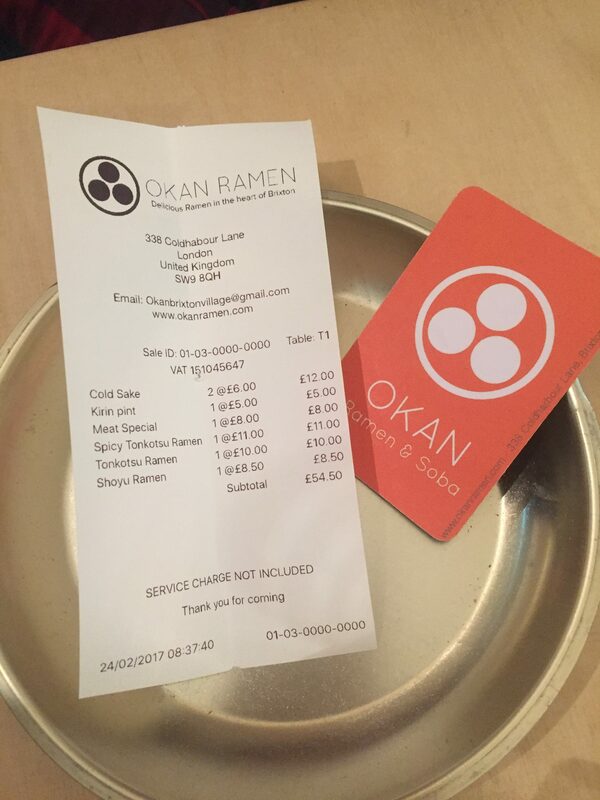 Okan Ramen is a short stroll from the trendy Brixton Village. If this isn’t an area that you’re familiar with you should check it out. I strongly believe that Seven at Brixton have one of the most interesting and regularly updated cocktail menus around. The steam from noodles had misted the windows, which gave it quite an authentic vibe, lots of the places in Japan had similar condensation issues. I took this as a good sign! We ordered the crispy pork bites to share (disconcertingly described as meat special on the receipt). As portion sizes go this was really generous and was just right for three of us, but we were all so eager to get stuck in that we forgot to take a picture! After a stressful day I treated myself to the tonkotsu which promised an indulgent creamy broth. Remember that video I shared before, well I think this bowl of ramen came closest to that experience – special attention paid to how the food was presented, including the bowl being rotated so the nori was directly opposite. It was really good, my only note would be that the noodles were perhaps a bit overdone for my liking. Adam has the spicy version of mine, but I don’t think he let me try it, which I take to mean it was delicious. Mike ordered the shoyu, which has a clear broth but still looked pretty good. We also got a cold sake between us. There was only a choice of one and as sake goes it wasn’t the best I’ve had. Overall I really enjoyed Okan. Maybe because I’d been off work all day, but I felt less rushed. It was also very reasonable prices, coming in at less than £20 each. I’ve just noticed the logo represents the globules of fat floating in a bowl…maybe. They get extra credit for that! So, I’m going to rate Okan RAMEN (4 out of 5). I still feel like something is missing in the search for the elusive 5/5. If the noodles had been firmer then this might have just edged it. 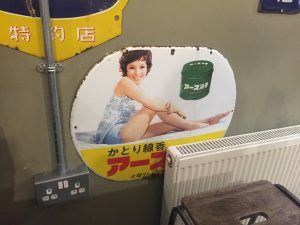 I also feel like I’m docking points for bad sake, which I’m not sure is fair if I’m just reviewing the ramen, but it’s my blog so I’ll do what I want! Oh, and here’s a two bonus pictures to give an impression of the company and décor.